Access the respective form in which you want to make the changes. 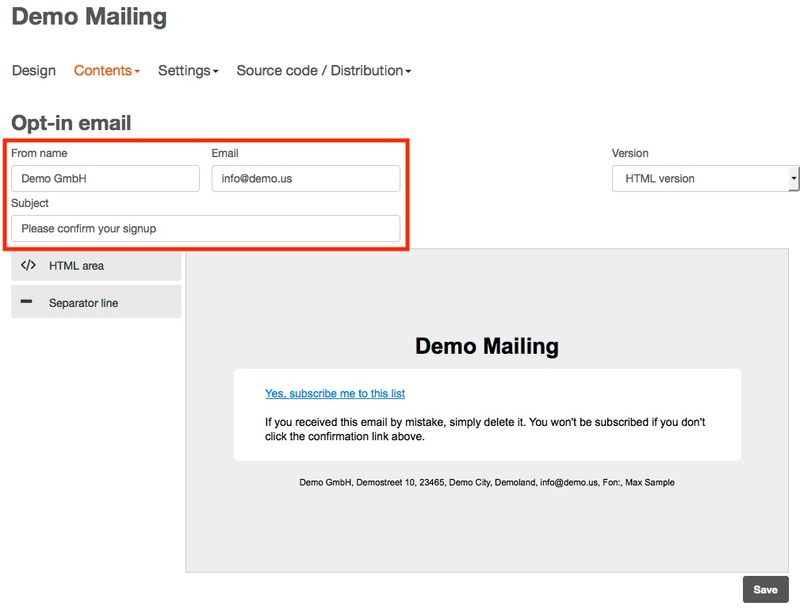 Using the button [Contents] you can access the 3 emails that are used in the form section and edit the sender address is the upper part of the screen. 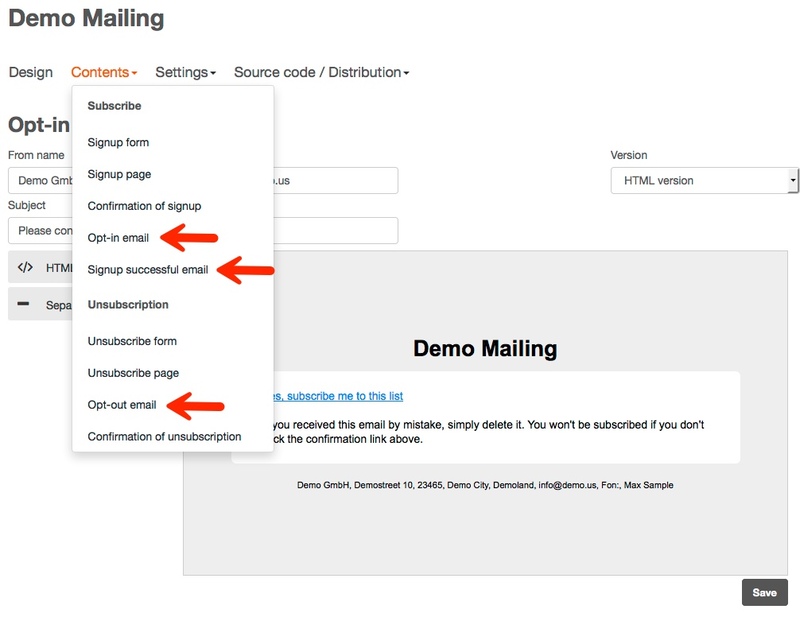 Sender name, email and subject line can be edited here.